Having a background in ancient art means I’m conditioned to be drawn to anything that looks even remotely Greek or Roman. Whilst perusing thru my local wine shop, I spotted a bottle with a fresco-type illustration on the label. The fresco was mildly generic, but it did contain an amphora and a figure that possibly had something to do with Dionysus, or at least that’s my interpretation as to why he has a tail. The back label alerted me to the fact that the highest acclaimed wines of Rome came from the very same area as this bottle, using grapes that were grown there as early as the 7th century BC. 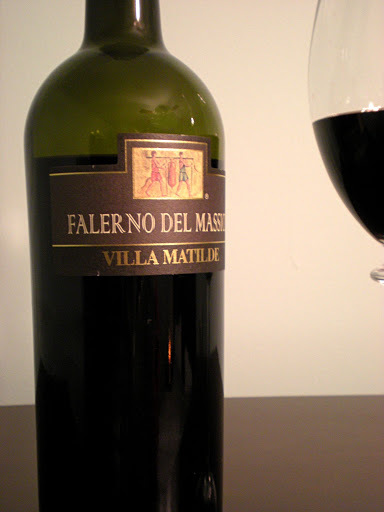 Clearly, the Falerno Del Massico Villa Matilde 2005 was an adventure I needed to embark on. The light floral smell of pretty violets contrasted nicely with the rich velvety dark ruby mahogany colour in the glass. 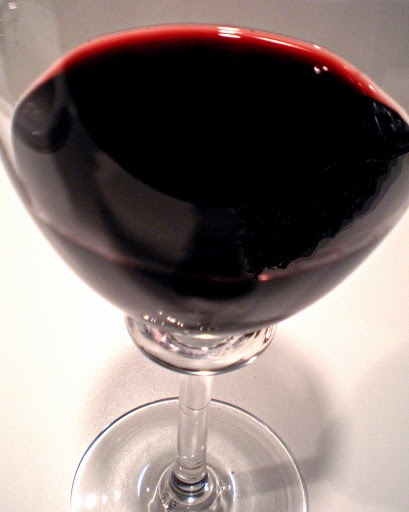 I was greeted with thick black cherry flavours that deepened into a lingering woody finish. As I continued my journey the flavours became more complex and intense, with glints of dark chocolate and earthy plum. This is a nomadic Greek philosopher of a wine that captivated me with its brooding and pensive personality.